Happy Holidays From Bergdorf Goodman! **Free shipping for purchases and returns on most items, includes Standard Delivery only. No code required. Taxes apply to some orders. For a small percentage of items, such as oversized items, items shipped from vendors, or shipments outside of the United States, delivery and processing charges may apply. 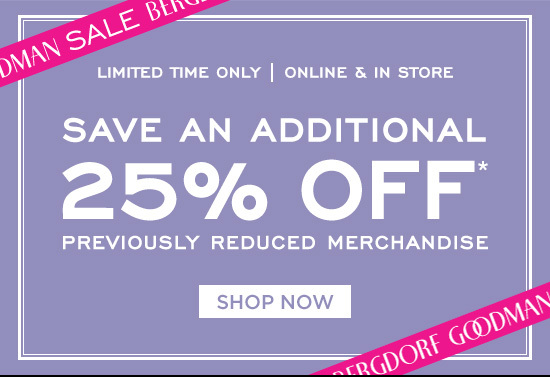 For complete delivery, shipping, and return and exchange details, including cost and delivery time, visit BergdorfGoodman.com, click on Assistance, select Shopping Online &AMP; In-Store, then click on Shipping and Delivery or call 1.888.774.2424.